Before pain gets in your way, relieve it naturally at the first sign with Arnicare and feel better faster. 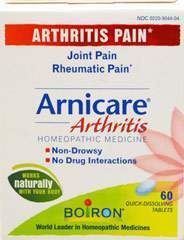 Arnica does not cause drowsiness or interact with other medications. Arnica Montana (or Mountain daisy) has been used for centuries as a natural pain reliever, and today, it's one of the most popular homeopathic medicines in the world*. Arnica is trusted by professional athletes to soothe sore muscles, by prominent cosmetic surgeons to relieve post-procedure pain, and by savvy moms to treat playground bumps and bruises. 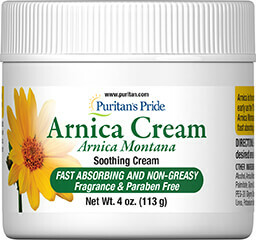 Any anyone who bruises easily will appreciate Arnica's ability to reduce bruise discoloration. 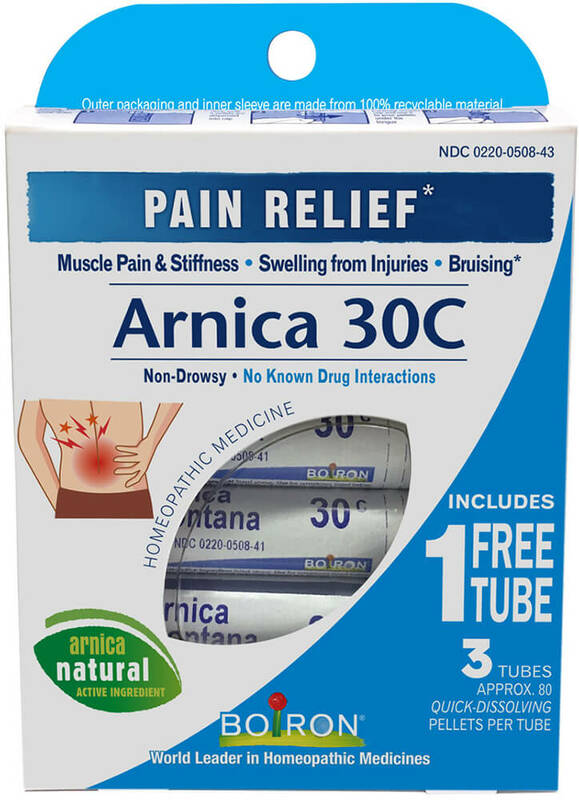 Made from this natural active ingredient, Arnica pellets provide widespread pain relief for the whole body and may be combined with Arnicare gel, cream, or ointment. * These quick-dissolving pellets do not cause drowsiness and have no know interactions with other medications.